Software / EEPROM Repair Service for Bosch RB4 / RB8 Crypto Instrument Cluster. Software damage commonly occurs during voltage spike, voltage drop, or tampering with internal software of the instrument cluster. 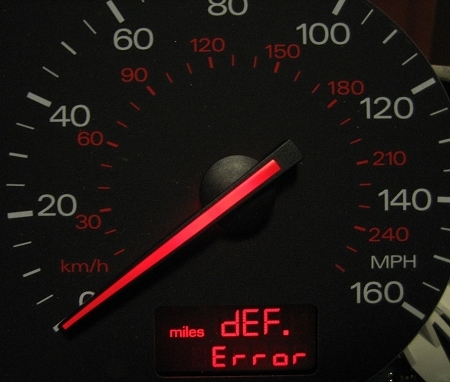 In most cases DEF or DEF / Error message appears and the vehicle fails to start due to damaged secure block (immobilizer area) within the internal software. 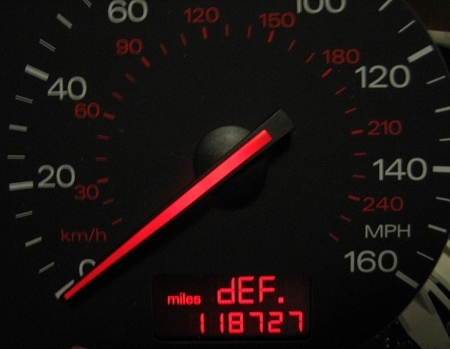 Software repair will return / restore the immobilizer identity of the instrument cluster to "new" or "virgin" state. 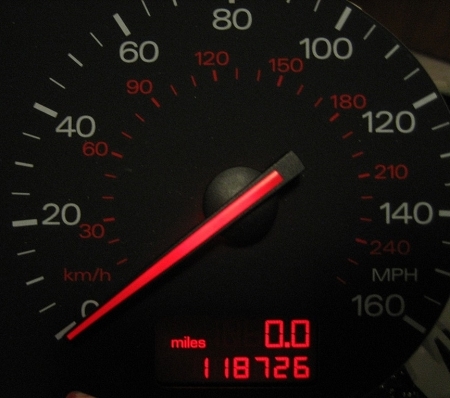 This means that the instrument cluster will still need to be programmed back to the vehicle. On earlier B6 platform (2002-2005) vehicles with Immobilzier3 system this is possible by the "handshake" method with Login (aka PIN or SKC) and Ross-Tech VCDS (Vag-Com) interface. Alternative programming options are VW/Audi repair shop (capable of handling immobilizer coding) or local Audi dealer. We offer a Complete Service (Software Repair + Programming) option, but will need all the immobilizer components (Engine Control Unit and all Keys) shipped in along with the Instrument Cluster. Complete Service is an option on earlier 2002-2005 models, but required on later 2005.5-2008 models which no longer support programming immobilizer components by the "handshake" method with Ross-Tech VCDS. Immobilizer Login (aka PIN or SKC) retrieval from Engine Control Unit is required for self adapting/programming repaired 2002-2005 cluster with Ross-Tech VCDS. Login/ PIN/SKC retrieval solution is available as an option at checkout. Service requires your instrument cluster (and possibly other immobilizer components) to be removed from the vehicle and shipped for repair. Please be advised that this repair will not change or tamper with the current odometer reading of your instrument cluster. In some cases we might be able to offer a remote repair / flashing procedure. Please contact us for details. Expert of DEF error repair online Service.. You are really expert in repaired DEf and paired immobilizer remotely...(My case is oversea) After I tried many way of fixing this but You have done it. Nice job. Really really expert. Thank so much. Specially Tom.